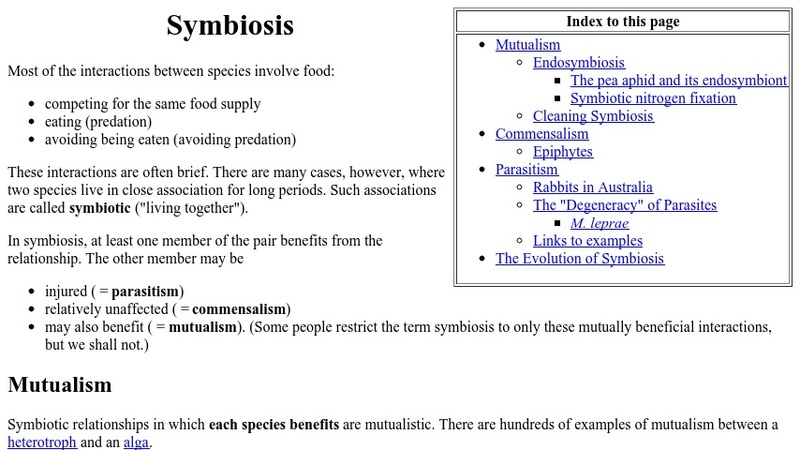 This online textbook chapter reviews symbiotic relationships, specifically mutualism, commensalism, and parasitism. The chapter includes examples for each relationship as well as a discussion about the evolution of symbiosis. Links direct readers to related chapters within the collection.